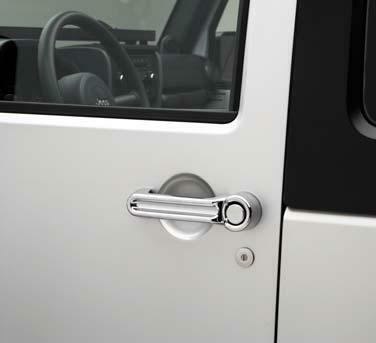 Mopar's new Chrome Door Handle Accent Kit compliments the look of any Jeep Liberty. Chrome Door Accent Handle Kits are made of durable, ABS chrome plated plastic and are designed for fast and easy installation. Each kit contains chrome accents for each door handle.